‘You are what you eat’ applies to dogs too! We know that fresh food is much healthier for us to eat than processed food, and many people think it’s the same for their dogs. They, therefore, feed them fresh ingredients, rather than heavily processed dry or tinned dog food. Dogs are carnivores, their teeth and digestive systems are designed to eat raw food, and this type of diet is often called Biologically Appropriate Raw Food (BARF). 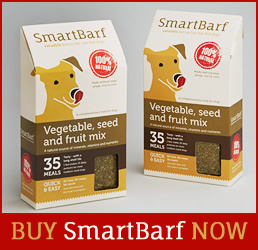 SmartBarf™ is an expertly crafted mixture of vegetables, herbs, fruits, seeds and more, which you can add to raw food, to give your dogs a wide range of beneficial vitamins and minerals. Better overall mental and physical health. Treatment and prevention of allergies, skin conditions, dental problems, conjunctivitis, body odour, wind, diarrhoea, obesity, diabetes, cancer, and many other common conditions. Greater food satisfaction, and improved appetite for fussy eaters. Calmer, more responsive, and, better-behaved dogs. Happier, longer lives – for dogs and owners!! 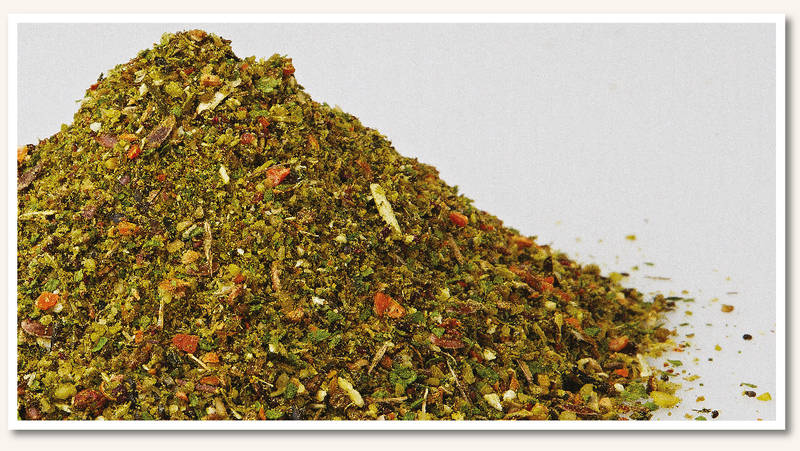 The cost of raw feeding is similar to feeding reasonable quality processed dog food, and there are many “pre-made” frozen minces available, which, together with SmartBarf™, make raw feeding easy, enjoyable and very rewarding for you and your dogs. 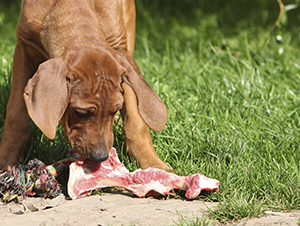 For our free concise Guide to Raw Feeding your Dog click here.